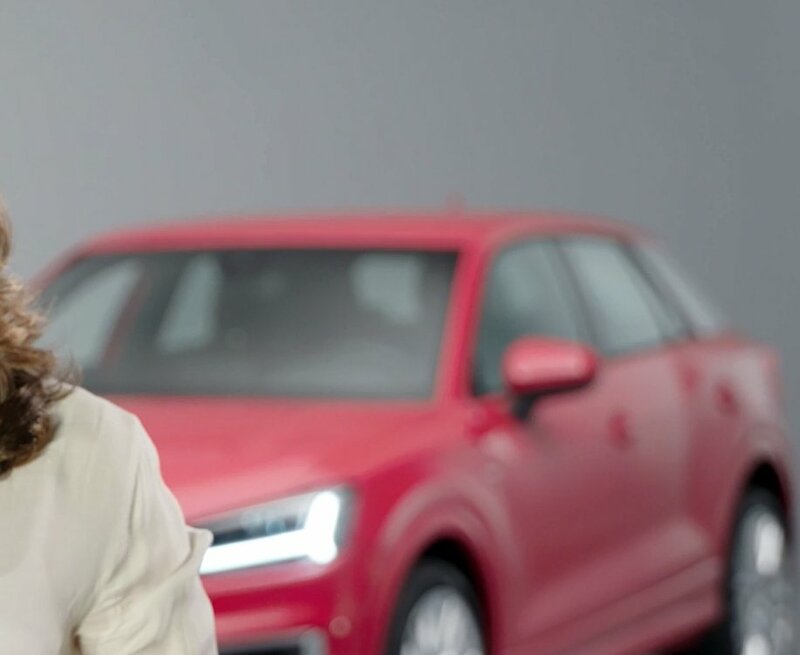 Lately, Audi has been releasing various images and video clips of its upcoming Q2 crossover and yet again some online reports have revealed a new teaser. This image shows the front three quarters of the vehicle in a blurred manner, while the lower fascia can still be observed in a far more better way. Tomorrow, there is going to be a world premiere of the Audi Q2 at the Geneva Motor Show, where we will finally be able to see the detailed features and looks of the car. 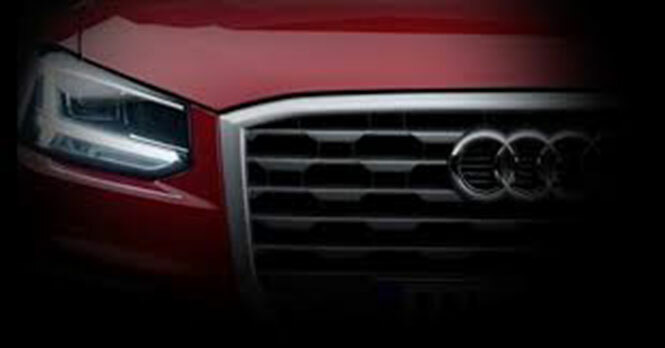 Coming to the cosmetics that have been disclosed in the teaser, these include a signature grille highlight the Audi symbol on it, which is guarded by a pair of LED headlamps on each side. Further, it shows prominent wheel arches and a flat roofline too. Just like the Volkswagen Golf and Audi A3, the Q2 will also be underpinned by the familiar MQB platform. Logically, it will be smaller than Q3, but at the same time larger than the upcoming Q1, with its length being measured around 4 to 4.39 metres. As far as the mechanical configuration is concerned, it will be packed under the hood with both petrol and diesel motors. In the former category, a 1.4 litre TFSI turbocharged 4-cylinder unit will be found that will be meant for the base variants, while with the diesel variants, a 2 litre TFSI and TDI motor would be available for the high end variants. For transmission, there will be various choices among a 6-speed manual, 6-speed S-Tronic and a 7-speed S-Tronic facility. Apart from this, a Quattro AWD mechanism is likely to be offered as an optional arrangement in the top ranging variants. Get latest ad updated information about automobiles on our Google Plus Community Speed Gears.